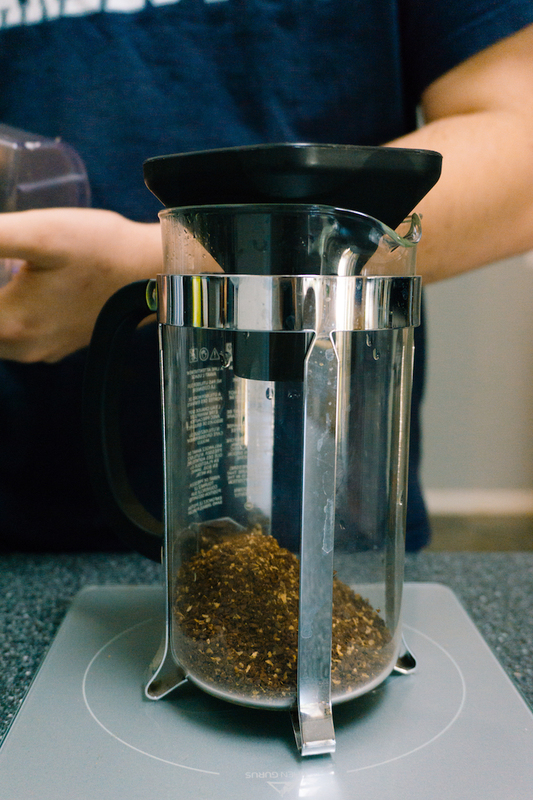 Have you ever wondered how to use a French Press? 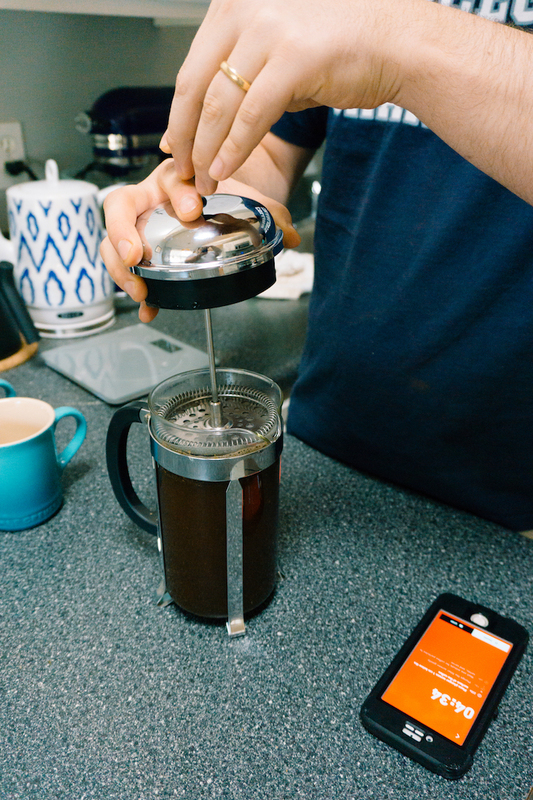 While it's not always our go-to method of brewing coffee at home, we do pull out our French Press from time to time. 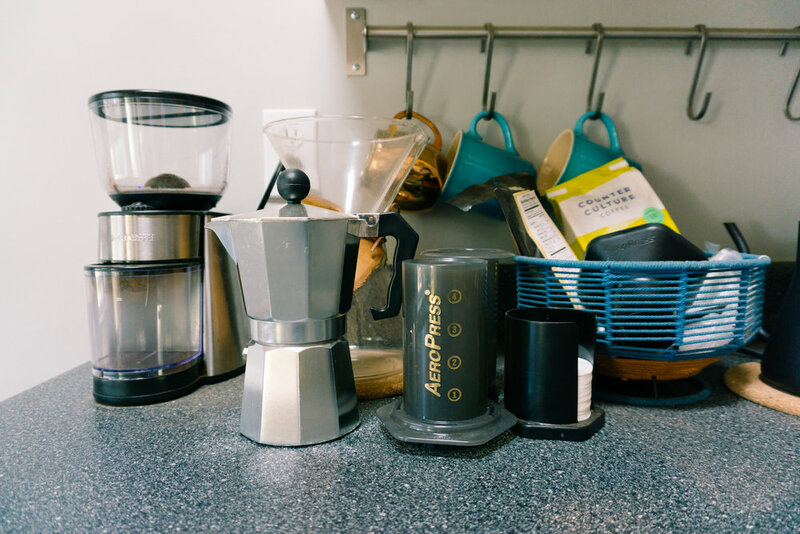 Since I mentioned how I was able to whiten coffee stained teeth at home in my last blog post, I thought I'd stick with the coffee theme for this week by sharing our French Press recipe! Bring your water to a boil and let cool to about 205 degrees. Pour a bit of hot water into the bottom of your mug to heat it up. 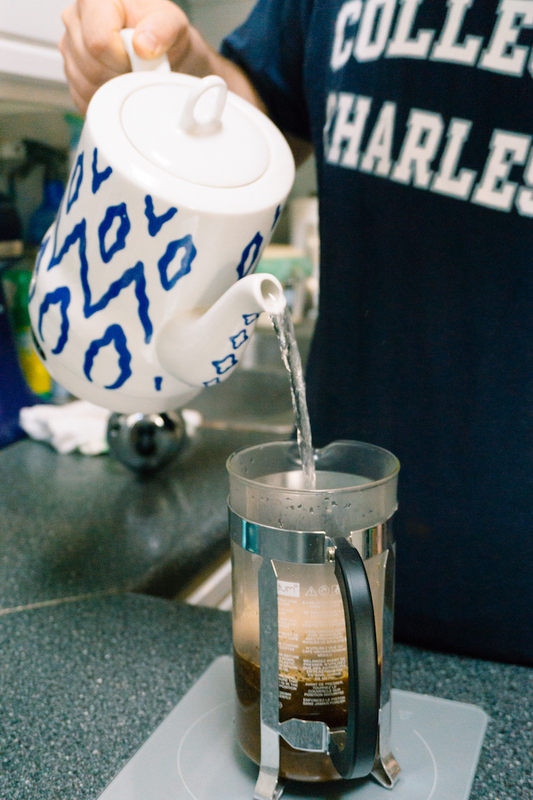 Pour hot water into the French Press, press the plunger down, then raise it up. Discard the water used to clean the equipment. 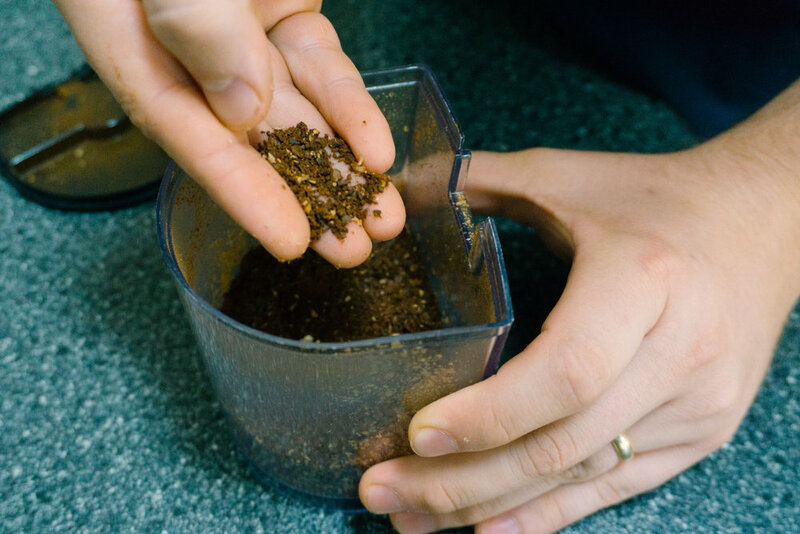 Measure out 54g of coffee beans then grind on a coarse setting. Pour the ground coffee into the French press and tap the glass a few times on the countertop to get the grounds to settle. Place the French Press back on the scale and pour 890g of water in as quickly as possible, making sure to saturate all the grounds. Place the plunger into the French Press and press the plunger down 1cm under the surface of the coffee. Wait about four minutes. Press the plunger gently down towards the bottom of the glass canister. Wait another full minute for the fine particles to settle. Pour the coffee into your mug and enjoy! That's it! It's honestly pretty easy to use a French Press to brew coffee at home. Have you ever used a French Press? I'd love to know your thoughts! If you're like us and can't get enough coffee, be sure to check out our Aeropress Brew Guide and Chemex Brew Guide!